The annual Trust In Yellow Race Night will take place on November 2nd after the Cambridge game with the first race starting at about 6.15pm. 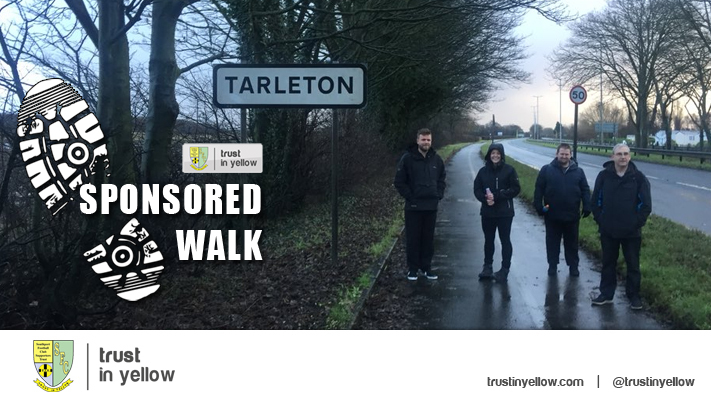 The Trust are looking for a sponsor for the night at £50 and Race Sponsors at £25. 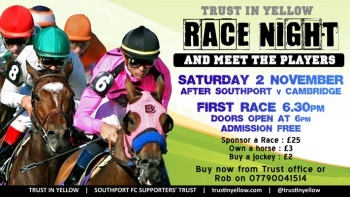 The manager and players will be attending and will have their own race which is always great fun. 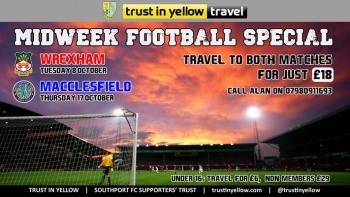 Southport play two midweek away games in October - at Wrexham on Tuesday and Macclesfield on Thursday 17. 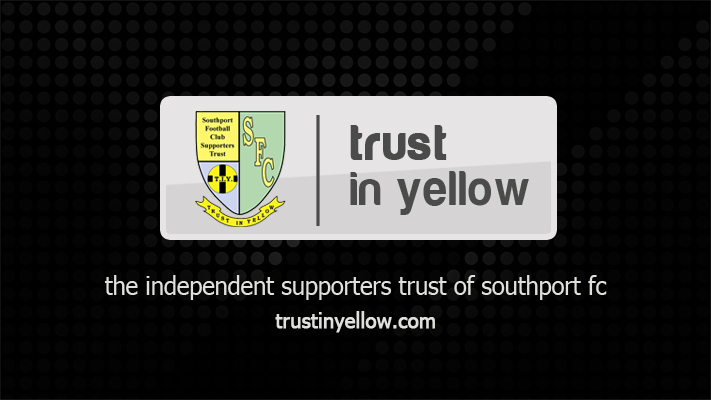 Trust in Yellow is giving supporters the chance to travel to both of these games for a special offer price of £18. 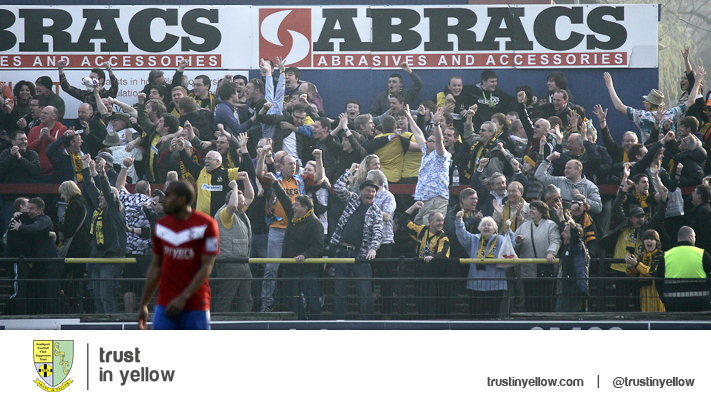 Both coaches depart the Merseyrail Community Stadium, Haig Avenue, at 5pm. 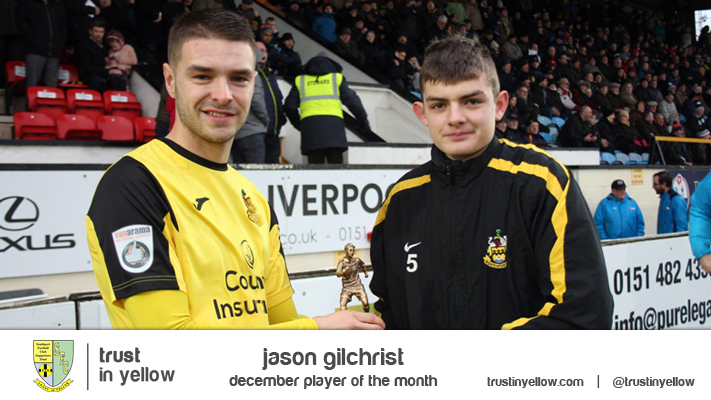 Last season, Trust in Yellow successfully launched our Player of the Month award. However, football is not just about the players, it's also about the fans. 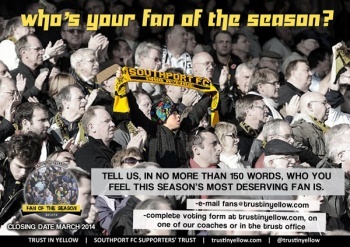 This is why we are now in search of the ‘Trust in Yellow Fan of the Season’. 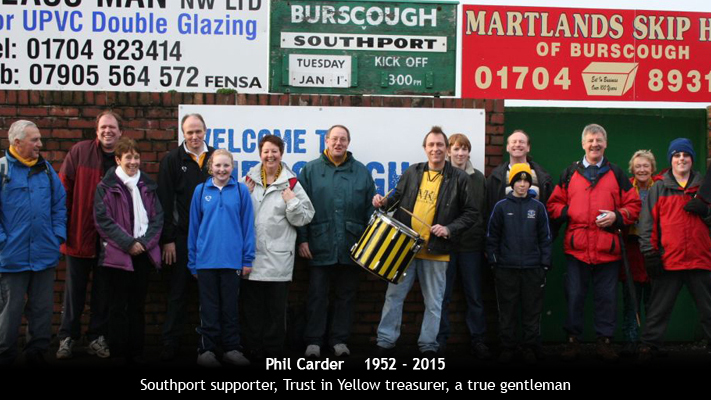 Do you know someone, or do you, demonstrate an exceptional passion for the club and what it means to be a Southport FC fan? 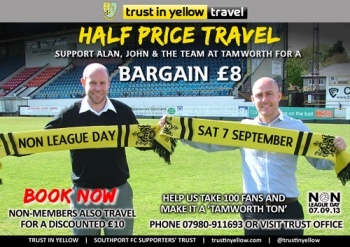 Next Saturday is Non-League Day - and to mark the event, Trust in Yellow is giving ALL fans the chance to travel to Southport’s match at Tamworth for half the usual price. It means Trust members can book their coach seat to the game for a bargain £8 and non-members just £10.